Wow this has been a very colorful journey. We're at the last video in this series. In this video you will learn how to create skin tones with the Stampin' Blends. So take a look at the last video and let your creativity soar! Now that you've learned the features and benefits of owning the Stampin Blends. Place your order starting November 1, 2017. Get this kit while supplies last! Save 10% and get the Color me Happy Bundle (stamp set and kit). Remember when you join my team and this bundle can be added to your starter kit. In your starter kit you will get $125 worth of Stampin up Products for $99. A blessed and happy crafter! Boss's Day 2017 Images©Stampin' Up! I was asked by one of my co-workers to create two boss's day cards. I wanted to created something that would show our appreciation. I created two cards. I choose the Coffee Cafe Bundle for our male boss and the Floral Phrases stamp set for our female boss. They both really love their card. 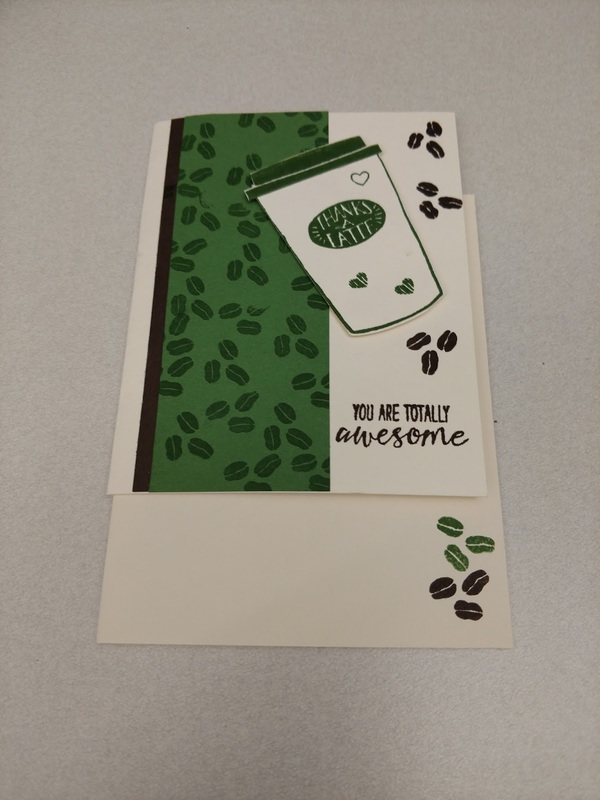 Cut whisper white and very vanilla cardstock 8 1/2" x 5 1/2", score@4 1/4"
Cut early espresso cardstock 1" x 5 1/2"
Cut garden green cardstock 2 1/2" x 5 1/2"
Cut fresh floral lemon lime twist dsp 4" x 5 1/4"
Stamp the coffee cup and lid on very vanilla cardstock using the coffee cafe stamp set. Use the coffee cup framelit dies to cut coffee cup and lid. Create custom dsp with coffee bean stamp using the tone on tone stamping technique. Stamp sentiment and coffee beans on card base using early espresso ink. 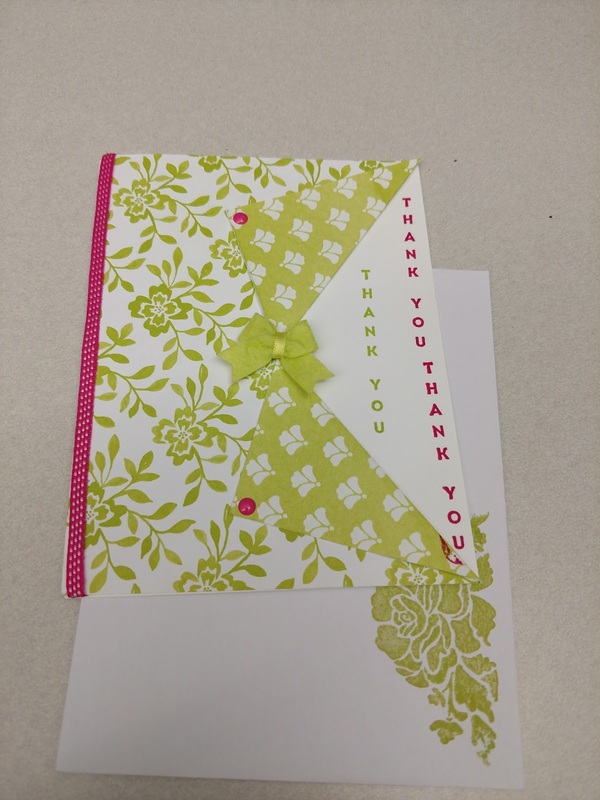 Stamp the sentiment on card base using vertical greetings stamp set. Stamp the sentiment in melon mambo and lemon lime twist ink. 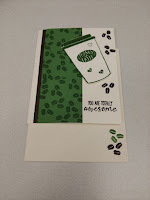 Arrange and layer garden green cardstock, early espresso card strip to card base according to the picture using fast fuse. Attach coffee cup and lid embellishment with dimensionals. Along the long 5-1/4″ side, find the middle (2-5/8″) and cut in 2″. Now I just folded the triangles back from the corner of the Designer Paper to the cut line! It’s as simple as that!!! I did add a little bit of fast fuse to hold my triangles back and in place! Then attached piece to card base. 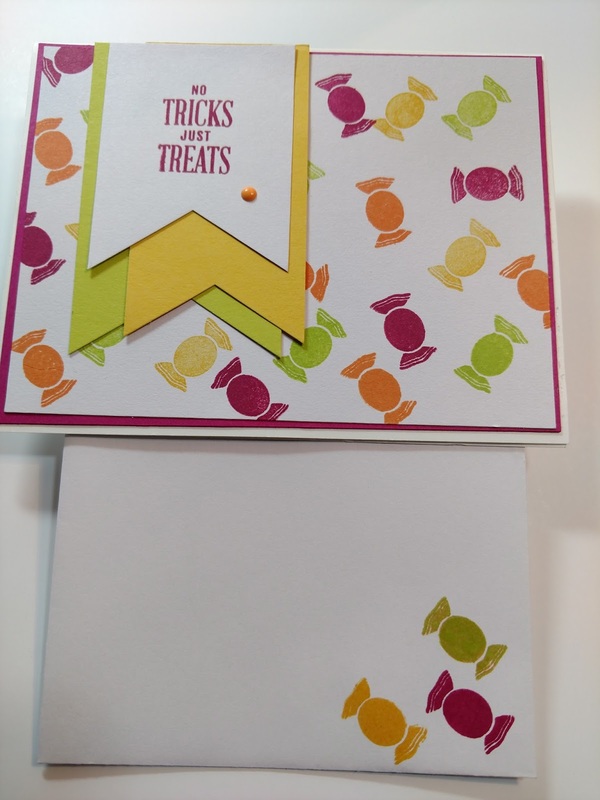 I added ribbon and enamels shapes to give the card that extra pop. 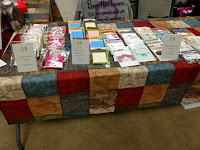 As you can see all these steps produced two super cute cards. The bosses were very happy and thankful for their celebration. Color Me Happy Kit Images©Stampin' Up! Are you looking for a fun and unique card kit? The Color Me Happy Card Kit is easy and cute. This kit includes 16 adorable cards. Will need Pool Party, Night of Navy, Pink Pirouette, and Pumpkin Pie dark and light Stampin' Blends. Using the new Stampin' Blends, will take these cards to a new level. Makes 16 cards, 4 each of 4 designs. The kit includes 16 card bases, 16 envelopes (4 each of 4 printed designs), gold foil accents, die-cut cardstock backgrounds and accents, printed and gold foil die-cut accents, white baker’s twine, Pool Party mini tassels, circle and star sequins, and gold foil tape. The kits will be available while supplies last. Save 10% and get the Color me Happy Bundle (kit and stamp set). Check out this video and see all the super cute products you get in this kit and . to your starter kit. In your starter kit you will get $125 worth of Stampin up products for $99. What a great deal! So create your shopping list and order on November 1, 2017. So I hope you enjoyed video 1 and you learned some key facts about the Stampin blends. Let's take a look at some basic blending techniques that will give you the tools to get the most from your markers. In this video you will learn how to achieve beautiful, rich and smooth saturated colors. So did you like how the colors blend so well? Did this remind you of when you learned how to color as a child? I'm sure we all remember when the teacher, would say, "Stay in the lines". The blending technique gives your image more depth. What a great way to give your paper project that extra pop. Stay tuned for video 3: Color me Happy Kit! Stampin Blends are available to order November 1, 2017. When you join my team and you can add the Stampin Blends to your starter kit. Happiest of Holidays to You! 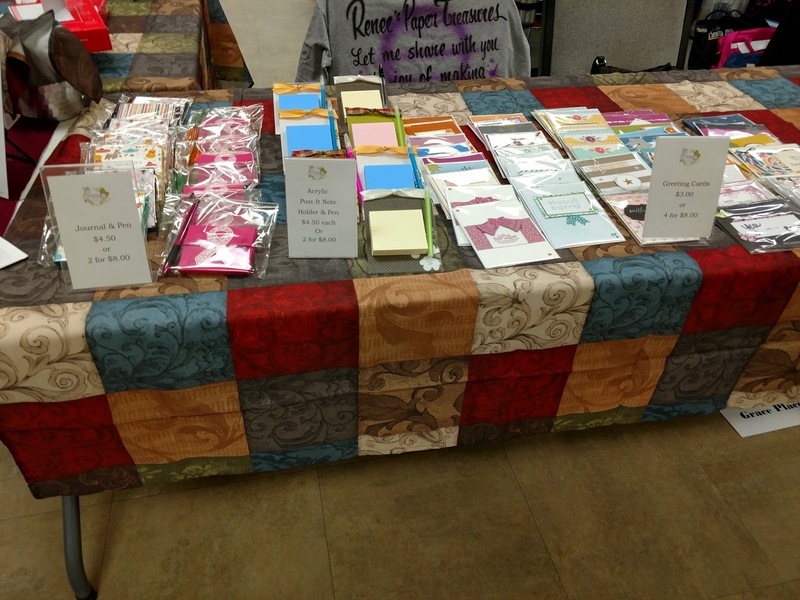 Images©Stampin' Up! 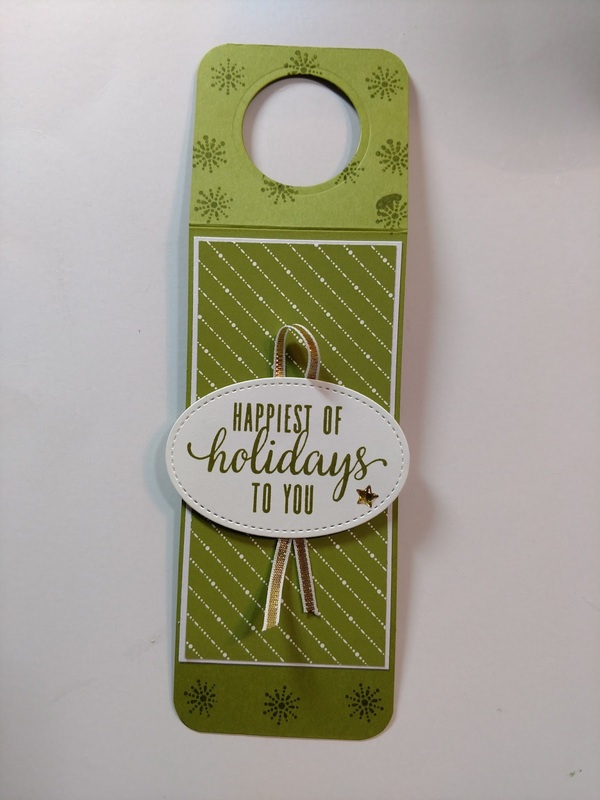 This week our team challenge was to create a gift tag. I had several ideas in mind but this one made it to the surface. The inspiration for this tag came from a similar project created by April Bailey Waltrip. I used her idea but gave it my own personal flair. Cut Old Olive cardstock 21/2" x 8", Score and fold at 2 1/4" from the top. Cut Merry Little Christmas DSP to 2 1/4" x 4 3/4". Cut Whisper White cardstock 2 3/8" x 4 7/8". 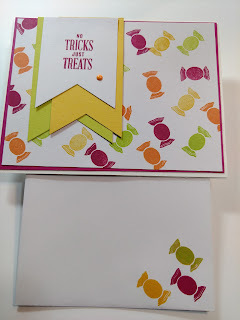 Layer DSP onto whisper white cardstock using fast fuse. Die cut a 1 3/8" circle in top half of Old olive wine tag. Stamp sentiment on oval shape using Pining for Plaid Stamp set. Assemble tag per the picture. Add gold metallic enamel shape and gold ribbon for that extra pop. These great artistic-quality alcohol markers will give you hours of colorful creativity. All markers are available individually or in a combo pack. All markers were in-house tested for life and evaporation. The nestable lids are easy to keep track of and have a tight fit. 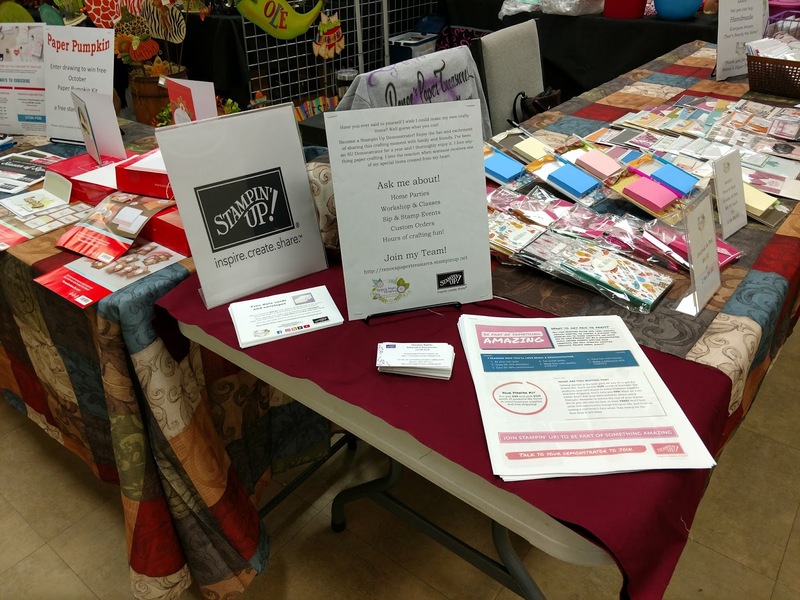 Let's check out Video 1: Stampin Blends Features and Benefits. So what do you think? Did you see how the marker tips give you a different shade? Did you also notice you can purchase in three ways, individual, combos and the collection? Say hello to a new world of colorful creativity! 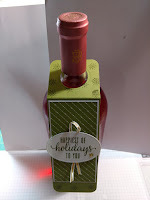 Meet Stampin’ Blends, artist-quality alcohol markers in 12 exclusive Stampin’ Up! colors. For the next two week I will share a video series featuring the Stampin' Blends. Each video will give you a glimpse of the benefits of owning your own Stampin Blends. New demonstrators can choose stampin blends as part of their starter kit. I hope you enjoyed this video and it peeked your curosity a bit. 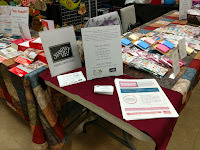 Please stay tuned for video 1: Stampin Blends Features and Benefits! 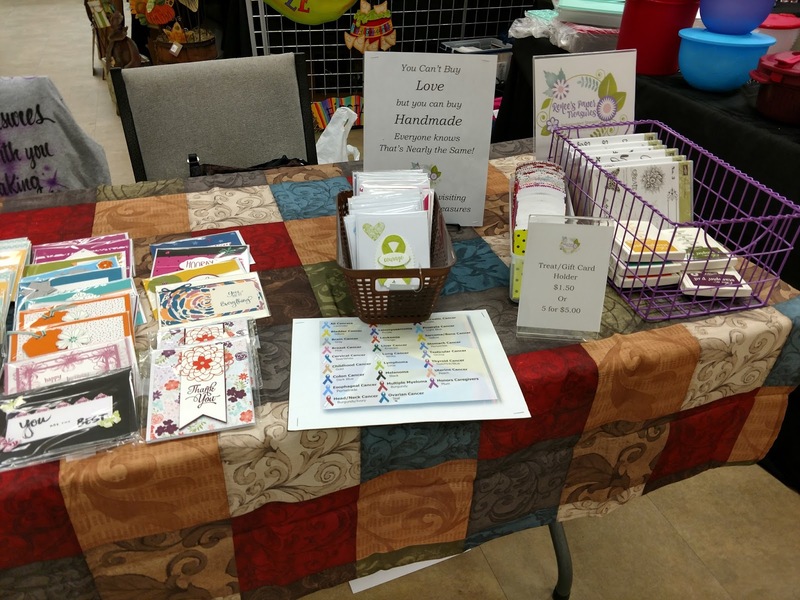 To get these Stampin blends and other great Stampin Up products! Our team's challenge for this week was anything "Halloween". I'm not really into the spooky side of of Halloween, so I decided I wanted something sweet. 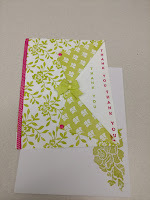 I Cased these design from Linda's Stampin Escape. I changed the sentiment to comply with team challenge. 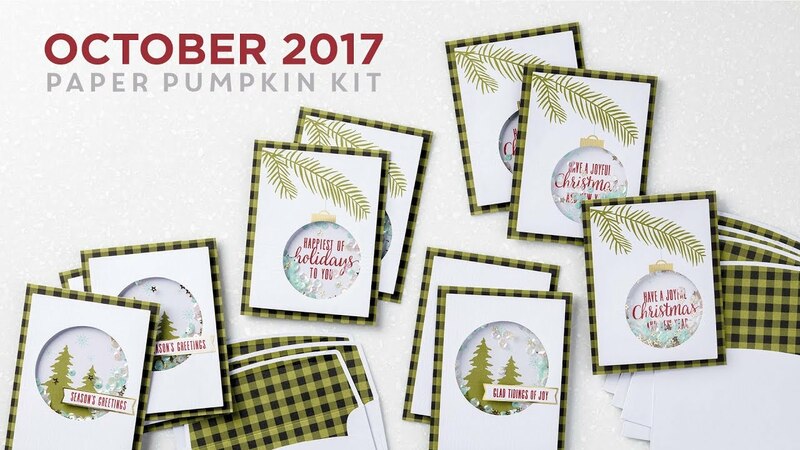 I use the stamp sets from the September 2015 & 2016 Paper Pumpkin kits. That's the best perk of being a subscriber, access to past kits. Be careful it's really sweet!!!!!! 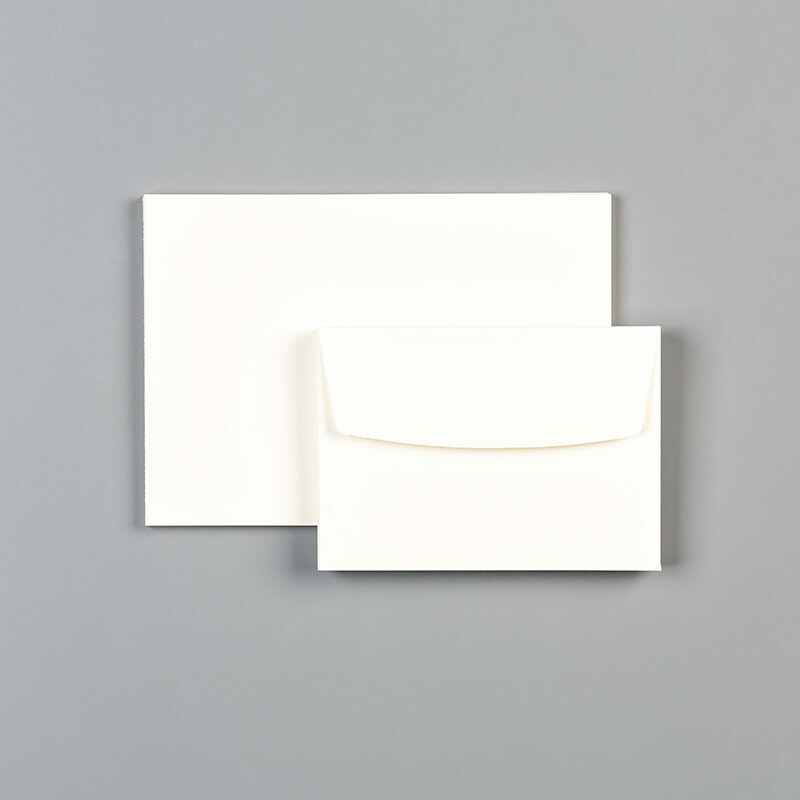 Card base: Whisper White 8.5" x 5.5", score@4.25"
Whisper White cardstock 4 3/8" x 5 3/8"
Whisper White cardstock 2" x 3"
Lemon Lime Twist cardstock 2" x 5"
Daffodil Delight Cardstock 1.5" x 3"
Create custom designer series paper(dsp) using the candy stamp from the wickedly treats stamp set on the whisper white cardstock 4 3/8" x 5 3/8". Stamp sentiment on 2' x 3" piece of whisper white using the something good to eat stamp set. Make three banners using the whisper white, lemon lime twist and berry burst cardstock. Attach the dsp layer to the cardbase using fast fuse. Attach banners to dsp layer according to picture using glue dots or fast fuse. Embellish sentiment banner with peekaboo peach enamel shape. Woohoo another super alternative finished. To share in the joy of creating your own alternatives become a Paper Pumpkin Subcriber! blessed my booth with great attendance. I would like to share my blessing through gift giving. Just go to my online store and place an order to get your free gift. Place a minimum $35.00 order (before shipping/tax), in my Online Store and receive a pack of blank note cards and envelopes. When placing your order, use the HOST CODE- (only use code if your order is less than $150) Host code ends 10/30. You can use these cards to create your own paper treasure.